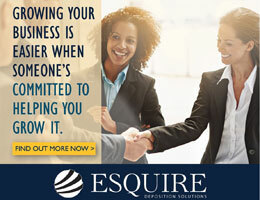 Are you eligible for the CRC exception? Candidates who passed the Certified Realtime Reporter (CRR) test prior to November 2011 are eligible to earn the Certified Realtime Captioner (CRC) upon successful completion of the CRC Workshop and Written Knowledge Test. These candidates are not required to take the Skills Test to earn the CRC under a recent exception approved by NCRA’s Council of the Academy of Professional Reporters (CAPR) that recognizes the Skills Test requirement of the CRR certification as equivalent. Note: The exception to use the CRR Skills Test history towards earning the CRC expires Dec. 31. Any CRC candidate who has not fully earned the certification by that date will be required to pass the CRC Skills Test, regardless of prior testing history. CAPR’s recent action to exclude the Skills Test requirement for the CRC for candidates who earned the CRR prior to November 2011 was based on the findings that prior to November 2011, the Certified Broadcast Captioner (CBC), the Certified Captioning Provider (CCP), and the CRR Skills Tests were the same: five minutes of literary matter at 180 wpm. Anyone who passed the CRR during or after November 2011 will need to take the CRC Skills Test, the CRC Workshop, and pass the Written Knowledge Test to become certified. Candidates wishing to use the exception for the CRC Skills Test must successfully complete the CRC Workshop and the CRC Written Knowledge Test. 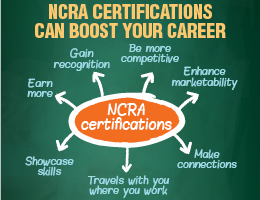 Candidates must then notify testing@ncra.org upon successful completion of the Workshop and Written Knowledge Test in order to reflect their CRC status. Only current members in good standing can hold the CRC status. Hear from a veteran captioner why earning your CRC is important. 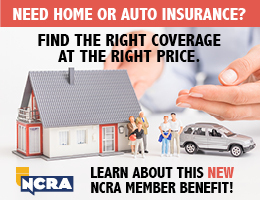 For more information, contact testing@ncra.org.